Interested in Yoga but not sure where to start, looking for information about career opportunities in this field?…… So this article is a must read for you. The Yoga word has been derived from the Sanskrit word “yuj” which means “to yoke (join)” the spirit and physical body together. In simple words, Yoga is a Hindu philosophy that teaches a person to experience inner peace by controlling the mind and body. Yoga has come into existence around in 5th or 6th BCE, in ancient India’s ascetic and śramaṇa movements. It helps to build muscle strength. Prevents from cartilage and joint breakdown. Gaining more control over emotions. At present, yoga has a very good impact on our life and it is very demanding in today lifestyle and students are seeking towards to make career in this field. 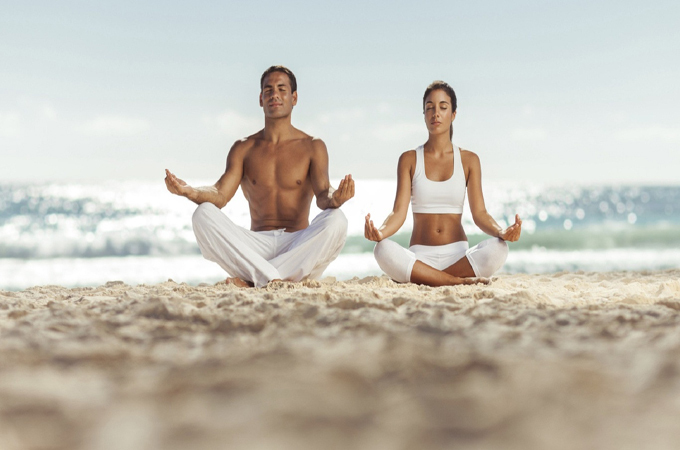 Professionals, those shares their knowledge of the science of meditation & yoga are called as Yoga Teachers or Yogis. There is a great career scope of yoga not in India but also in abroad. Yoga is an ancient art & natural ways to keep our body fit & healthy. Yoga not only helps physically, but in improving mental health. The integral part of Yoga is practiced physical exercises which called Asanas & breathing exercises which called Pranayam. Fitness is the call of today’s world which raising the need of a yoga teacher or instructor on the global platform. What are the courses to pursue in this field? Certificate Course in Yoga (CCY): It is a one and a half month course with the eligibility of HSC passed. No age limit for this course. Bachelor in Arts (Yoga Philosophy): Duration of this course will be three years with the eligibility of 10+2 from any stream securing minimum 45% marks. UG. Diploma in Yoga Education: It is a one year duration course with six months internship with the eligibility of graduate from any stream with a certificate in Yoga. PG. Diploma in Yoga Therapy: It is a one year duration course with the eligibility of graduation with any stream from any recognized university. Master of Arts in Yoga: It is a two year duration course with the eligibility of minimum graduation from any stream. Advanced Yoga Teachers’ Training Course in Yoga (AYTTC): One month duration course with eligibility of certificate, diploma or graduation in yoga with two years teaching experience in yoga. You can pursue bachelor yoga courses after passing your 12th (Courses After 12th) class from any stream and for master courses you should hold a graduate degree in any stream. There is not any age limit for admission in yoga courses. By seeing the benefits of Yoga, career opportunities in this field are increasing in India as well as in abroad also. After pursuing yoga courses, you can work in health clubs, yoga & pilates studios, special needs centre, private gym and in individual clients homes. For the Yoga Professionals, there are several job options available both in the government & private sectors. You can also self-employed by opening your own yoga center. Yoga also opens various jobs in the given field such as research, management, hospital, academic, administrative, consultation, etc. The government has made it compulsory to have a Yoga teacher in every school. Design courses & lesson plans. Analyze the fitness level & requirements of all participants. Demonstrate and perform all yoga exercises to participants. Design safe and comprehensive yoga programs for various participants. Monitor participant performance and recommend different yoga exercise. In India, the average salary of a Yoga Instructor is between 10k to 25k per month. In abroad, they can get a good salary package in this field. As a reputed instructor in this field with masters or Ph.D degree earning can be touched up to 1 lakh per month. Earning will also depend upon the location, sector, company, education, etc. The highest paying jobs are in educational support services, followed by religious organizations. For more information regarding Yoga, you can ask your queries below. I wanna be a Yoga instructor / teacher! I am a HR Professional. But also have done PG diploma in yoga therapy and wanna change my profile. I want to know that is there any opportunity in Rajasthan regarding the same profile. or I need to do further studies in YOGA? I completed my 1year yoga diploma from Lal Bahadur Shastri University Delhi. I need a job in Delhi please suggest me. Can have yoga course of 6 month / 1 year as correspondence with doing job, and attend Sunday classes at Indore / Ujjain / Dewas. Even i can do phd? How? you can pursue bachelor course in yoga. everything is given under the article. hello sir, m doing b.com and i want to make a career in yoga.what i should do?nd which stream is better ? Hello sir, my sistar completed on B A please sagess me how to become yoga teacher. she she can pursue pg course in yoga. i need some information regarding yoga.i am very flexible and my friend says me that you should create your carrier in yoga and i am also interesting in yoga so i jus want to know that in which course i should applied and in which course maximum chance of yoga in foreign. plz tell me . You should do UG & PG in Yoga. I am b.p.ed student sir, and I am very much eager to know what should be career opportunities or jobs for any courses in yoga.Iwant to know the name of jobs and its eligibility creteria. I had completed PG in art. So please tell how to get job in this field. I am interested in yoga and physical work. Hello sir , i recently completed my B.Sc. In PCM stream…kindly suggest me which course/diploma/degree will be beneficial in yoga to get good knoledge and a job soon. Hello sir now I’m in the last year of B.sc Ag. I want to build career in yoga ,so what course should I do . Hello sir now I’m in the last year of B.E..I am doing yoga since childhood .I want to build career in yoga ,so what course should I do . Sir..I’m completed my plus two.I want become a good yoga teacher.I need your advice. I am doing bcom hons. I want to make a career in yoga.please suggest something. hi i am shivaknt and a b.e.graduate yoga is my intresting activity now i want to make it as professionand hobby also. so pls guide me what will i do? all about post graduation in yoga also. reply in my e-mail pls pls……. Hi i ma namrata ghildiyal i am 31 years old completed MBA and worked in bpo for six years and now i want to make my career in yoga i want to travel the world and teach yoga in different cities kindly help me with my decision. I realy need your suggestion towards my decision. you can pursue yoga teacher tarining courses, also their are degree level courses available in yoga. You can go for the job. Sir I am completed Bsci last year in 1st class .I am interested in starting yoga therapy private center plz give Information about yoga teacher for Mastar of art in yoga and about fees in rupees for completion on my email Id. thanks. you can check Patanjali yoga training & research centre. They offer many UG & pg degree courses related to yoga. hi sir m gurusha, m pursuing M.A in yog science from patanjali yogpeeth haridwar plz sujest me for a good job. sir i m vry much intrested to da Phd in yoga…..Plzzz provide me some informations about further study….now m in 6th degree……This article is vry much hlpful for me….Plzzz do contact me..